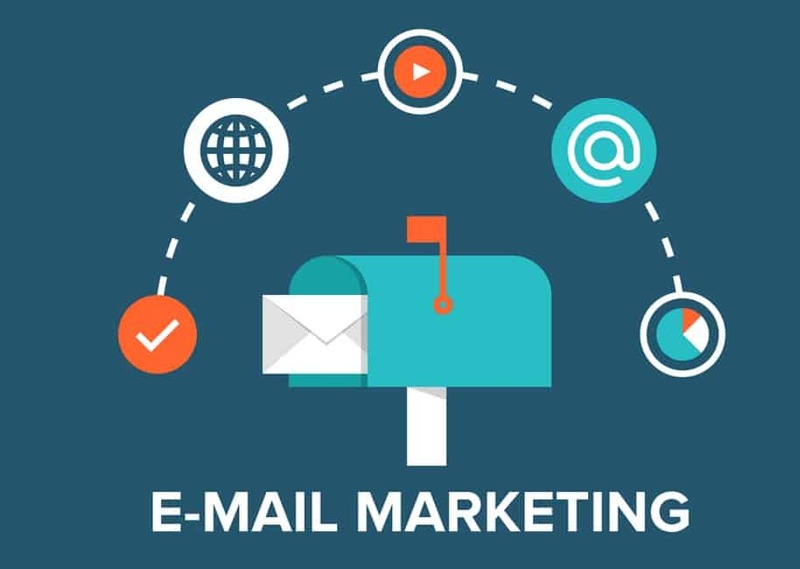 According to a study carried out in 2014 on web-based businesses, email marketing is the leading channel with the highest ROI of any marketing channels. The Surveyed companies as shown in the study recorded an average of 23% of the total sales on email marketing and these results are rarely isolated. If you take a close following, you will find that email marketing has become more profitable than ever. If you ask any aspiring online entrepreneur or even established ones, building an email list may seem that easy(even when it’s not) but eventually turning it into a perpetual sales machine is quite harder and will be as good as a lifetime achievement if done successfully. This is because, once you have your machine running, all you have to do is, sit back, relax and enjoy the fruits of your labor. 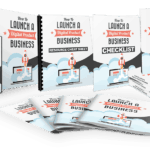 Those are million-dollar questions(literally) and by the end of this guide, you should be answered because we have analyzed the best in online business and we bring you the ultimate strategies to help you build a quick email list and later on turn it into a perpetual sales machine. How Do You Build a Customer List As Quickly As Possible? Content upgrades are little enhancements you can do to your content to make it more indispensable to the reader. Here is how you are supposed to do it. iii) Offer your blog visitors/readers an option to receive upgraded content in exchange for their email. Is it that simple and brilliant because once readers click through to your blog post, it’s a sign that they have shown interest in the topic they are reading. That is the time you have to take advantage of their interest and offer them more. There are so many case studies who have used this strategy and have made their way out to success. For instance, Video Fruit’s Bryan Harris has used this strategy to raise his conversion rate to 30% for each upgrade offer and his best offers have resulted into a whopping 62% rate of subscription. 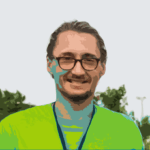 There is also the case of the famous Brian Dean, the guy behind Backlinko. 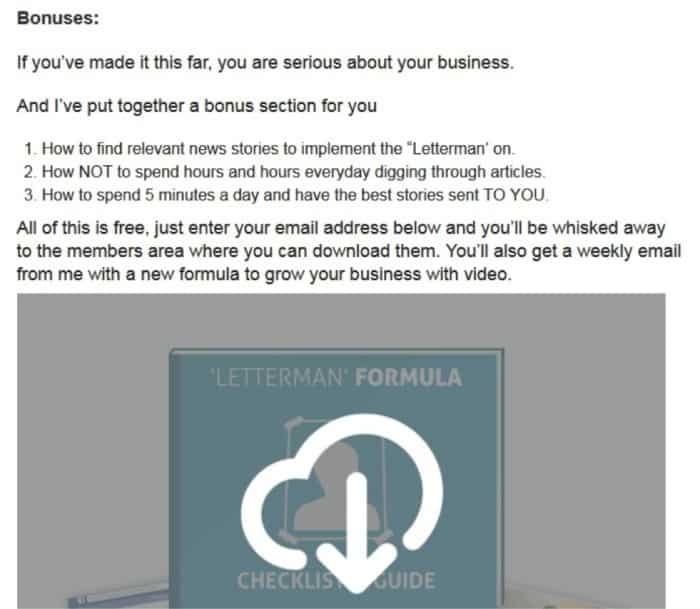 He catapulted readers subscription by 785% using this strategy. Lest we forget Authority Hackers who with just a single content upgrade, collected more than 11,000 emails. Pop-ups are leads incorporated on a website that prompt readers or visitors to take action; sometimes positive and sometimes even negative. According to Hunter Boyle, he claimed that; Popups are like Justin Bieber! You either love them or hate them but lately, you see them everywhere as they still pull in large crowds. There are different kinds of popups and we will name and briefly describe a few of the most actionable which you can use to build your email list quickly enough. Entry popups put you in dangerous zones because they interrupt a visitor when they try to open your website. They are quite aggressive. However, when set up well, they can massively have remarkable conversion rates as long as your interruption is well supported. An example of a Webinar Registration is shown below. 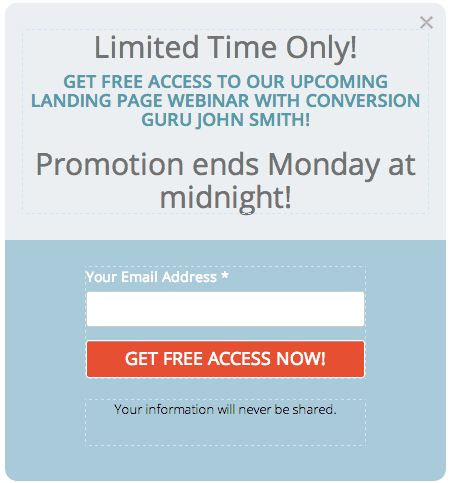 It is a limited-time offer and it justifies the interruption of a potential lead’s presence on your page. It is something they-the prospects understand needs to be seen perhaps because the promotion would end soon. The colors gel well and contrast accordingly with the CTA button making it easy for the conversion. The click pop-ups are used by most websites are ideal for collecting emails for your list. They do that as they are capable of doing away with the need to send landing page/blog traffic to another page of your website. 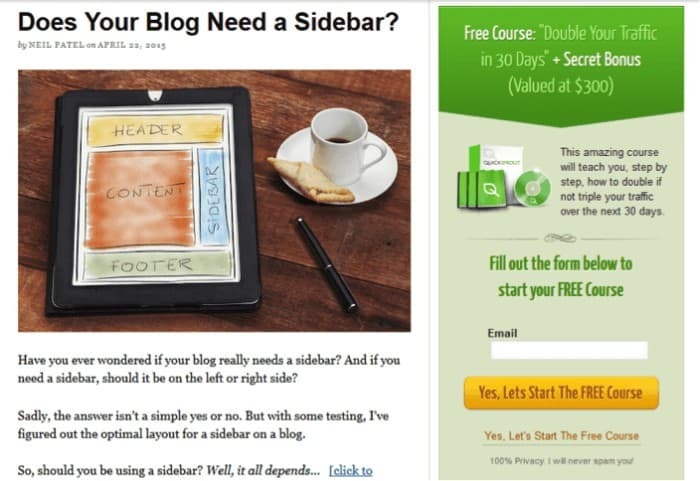 This kind of pop-up creates a conversion opportunity for your reader when they stay on your blog. 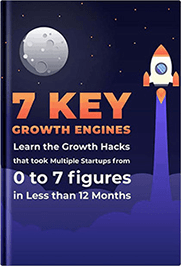 That means, without having to send them to a landing page or a whole new tab, you can get your website visitors to subscribe by providing their email for a free Ebook download. The pop-up includes a CTA, a USP and short but efficient benefit list. A free Demo Exit Pop-up is a type of pop-up that works by placing an action that requires your website visitors to download a free Demo of your real product. The pop-up is usually designed in a way that it tries to convince visitors to provide their email in exchange for a free trial demo of your original product. 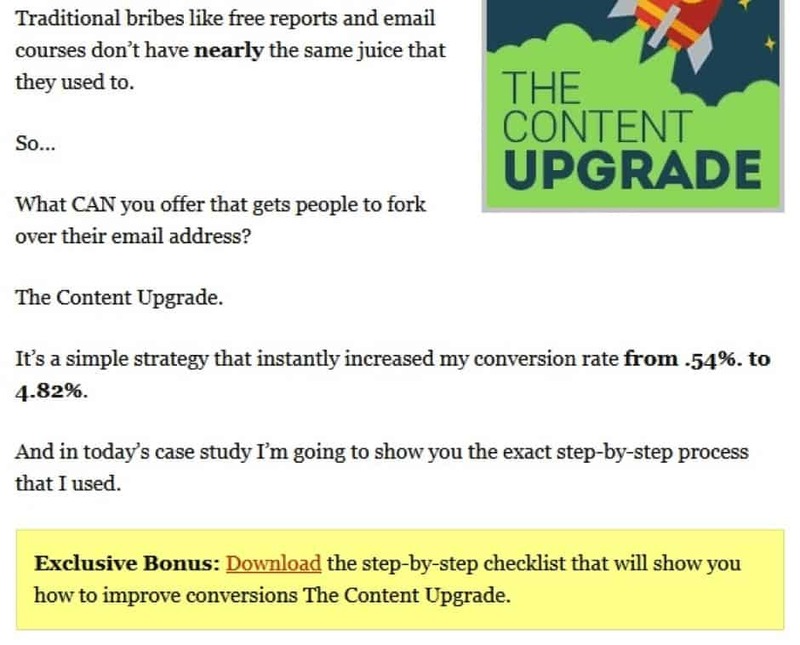 The exit pop-ups will break in between the inattention blindness of your readers and try to draw their focus. That means any readers who bounce(not intentional but they genuinely missed to see the CTA button) may have a chance to convert. Blog Subscription Scroll Pop-ups are good email collectors. They are delivered to the people who have an interest in your valuable content like email-gated Ebook, infographic or report, among others. Scroll pop-ups are favorite for most blogs and they show up to readers who are interested enough to read more than half of a blog article. That is why it is very necessary that you neither place them at the beginning of your webpage because, at the time, you do not know if the reader has found your content worth it nor at the very end of the webpage because most readers leave before they scroll to the very bottom of any webpage. The scroll pop-ups do not ask much in exchange of the readers’ email. 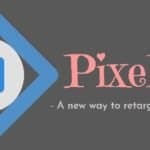 Timed pop-ups are somehow tricky compared to scroll ups but through tweaking and testing, they can be perfected and turn out to be your favorite email collector. The reason is, they appear to a website visitor after your website visitors have been on your website for a certain period of time. So to create a perfect pop-up, use Google Analytics to check the average time your readers stay on your webpage. However, regardless of the what you will do find out from the analysis, put in mind that an average reader tends to leave a website at a time interval of 10-20 seconds and that is the ideal time to set your pop-up. It should only show on blog articles to ensure that people who see it are more likely to be interested in the content of what you offer in exchange for the email. 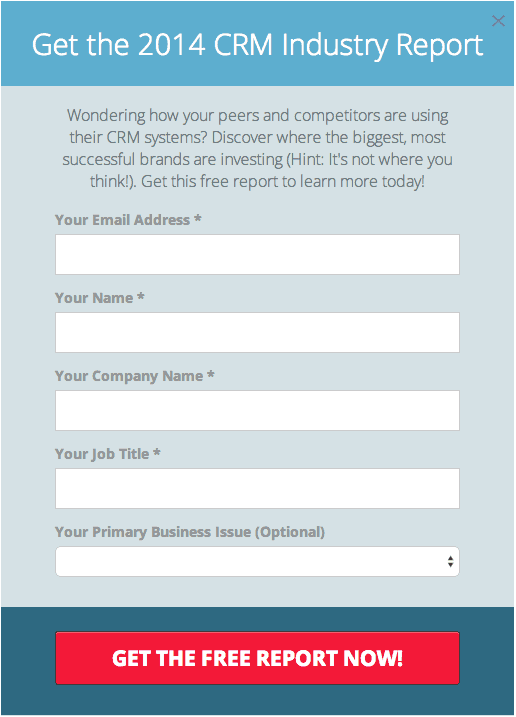 Else, if your business is solely devoted to CRM, then you can use this pop-up anywhere on your website. The pop-up offers a valuable incentive in this case…….. in exchange for the visitor’s email. There are many more other pop-ups but if you perfectly deploy the five outlined above, you are on your way to building a large email list quickly and effectively. There are various online startups who have made it huge through pop-ups. For instance, Social Media Examiner reported 70% of their subscriptions to their website’s pop-up form. Even for startups and bloggers who target a non-marketing audience, be sure this will work. Nikki McGonigal with her lightbox pop-up had an increase in the rate of subscriptions from 0.4% to 5.5%. In conclusion, it doesn’t matter whether you love them or hate them but, like Justin Bieber, pop-ups are very successful. iii) should also have guaranteed bonus incentives for all participants even if they did not win. There is always the worry that a giveaway will grow your list but the emails could turn out to be low quality and made up of freebie junkies without the interest to buy your product at all. There is a way to solve that. You will have to make your prize that will entice most of your potential customers. When done correctly, giveaways have the potential of building an email list for your business. Apart from gaining subscribers, giveaways also build trust and goodwill with existing subscribers when you offer them something for free. For instance, WWRD marketing team ran a sweeptake giveaway in 2011 and the result was noteworthy. The giveaway increased email subscribers by a remarkable 11% and even the better part of this giveaway was that it had a 21.7% bigger value than the average accumulation from the website. There is the case of Bryan Harris who landed 2239 emails in less than a fortnight. Not forgetting Josh Earl who collected over 60,000 emails in not more than a fortnight. Generally, your aim of sending out your content on blog posts to your email subscribers is to get a number of click-throughs to your website and eventually draw more traffic. You want readers to visit your site, and at the same time, we all know the presence of multiple click -through links results in fewer clicks on the link you want. 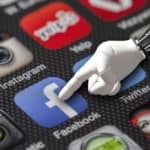 Well, if you consider that you want more traffic for your website and at the same time need users to read your content, then you may need to add social sharing buttons in the email. It is counterproductive as readers can share your post without having to read it and that benefits you. For instance, GetRepsonse an email provider observed a trend of ‘adding social sharing buttons within emails’ and tested the results. The study revealed emails with social sharing options had an average CTR of 6.2% compared to 2.4% without. 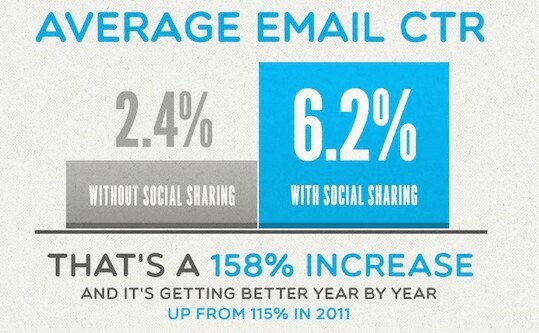 This makes the in-email social sharing 158% advantageous. That is to say, even if your subscribers do not read the articles, each and every share generates traffic from multiple users and that means more emails for you. It is hard to come across a high traffic site that does not have some kind of featured opt-in incentives. Featured opt-in incentives could include a resource list, Ebook, free software tool, swipe file, white paper or any content type but they all serve the purpose of acquiring email subscriptions. 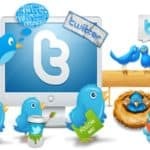 .This strategy is very efficient because all you need to do is create one piece of quality content that you can use it over and over again. However, it is much more a better option for small startups who may lack enough bandwidth in their schedules to generate upgraded content every time for their blog posts. 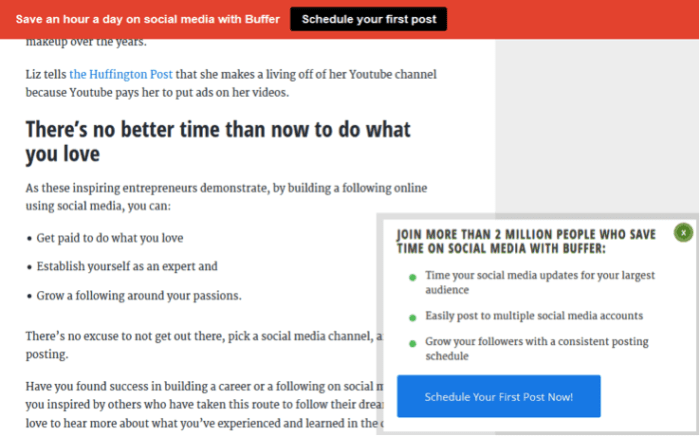 For instance, Buffer uses their free version of their flagship product as the opt-in incentive. The incentive is straightforward and very simple and that increases the subscription rate. 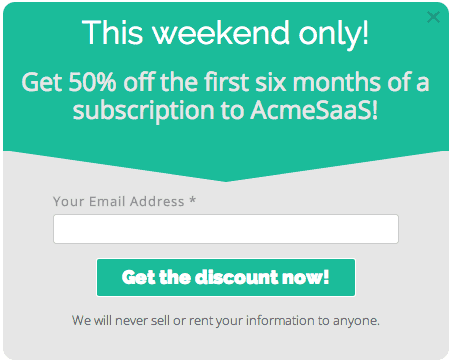 Neil Patel also uses this strategy to obtain email subscriptions. On his blog – Quick Sprout, he offers a free course that promises readers to double their traffic in a just a month. Celebrities demand exorbitant endorsement rates for a reason; and the reason is, influencers have a big impact in driving conversions. Perhaps you are now worried about how you will build an email list through influencers. There are a number of strategies you can do with this, and most importantly, you will not need lots of funds with them. In fact, if you have a growing business and have a small budget, try the following strategies that will help you start partnerships with big fishes. Most influencers see themselves as “experts” and they attempt to sell themselves as teachers. Therefore in order to so effectively, they need one important thing, successful students. They usually need their students to tell stories about how their(the influencers) their strategies turned an average Charles turned into Branson Rich. They need poster boys. Volunteer to be one for them and that means there is a chance they will talk about you in their marketing materials. What they(most people) probably don’t understand is that being so good at a specific skill-set is what makes people famous. And while that is the case, there is something the famous people sometimes lack and apart from that, they also look forward to improving. If you will help them out without having to ask a favor in return, you will be building good relationships in the right places. That is how you land a lifetime partnership with a major influencer. If you may need an example at a basic level, guest blogging is one of the ways where you can fill in a need for free. Content providers usually need quality content regularly. If you give them free quality content, you are building trust with them(the influencers) and their audiences too. Most of today’s prominent startups began around 2000-2005 mark. A number of them leveraged each other’s traffic and sought each other out and grew together all the way to the top. As a starter you can also use a similar approach, However, you have to keep a good eye all over the internet to find startups at your current level of influence but have great potential. Webinars are not only the most versatile but also the most efficient forms of content you will ever create. 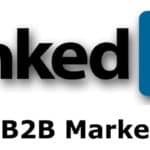 Let the fact that they came 7th on our list of building an email list not confuse you, webinars are a charm and work like magic. A perfect webinar should be a 15-minute video and serve as a product launch piece, a standalone product or a cog in your sales funnel. Unlike regular videos, webinars are more compelling because they have a limited run time. Your prospects will have to show up at the time when you are hosting your webinars and that means you are generating urgency and creating a micro-commitment kind of situation at the same time. Your webinar is supposed to focus on coaxing your viewers to get your product with a claim of “limited stock”. However, deep down you know you are just but creating a false sense of scarcity to get their email addresses since their attendance to your webinar will require them to sign up(definitely using their email addresses). A solid webinar, or better yet a series of proper webinars will generate quite a large influx of subscribers and you will be amazed at how much you will build your email list. 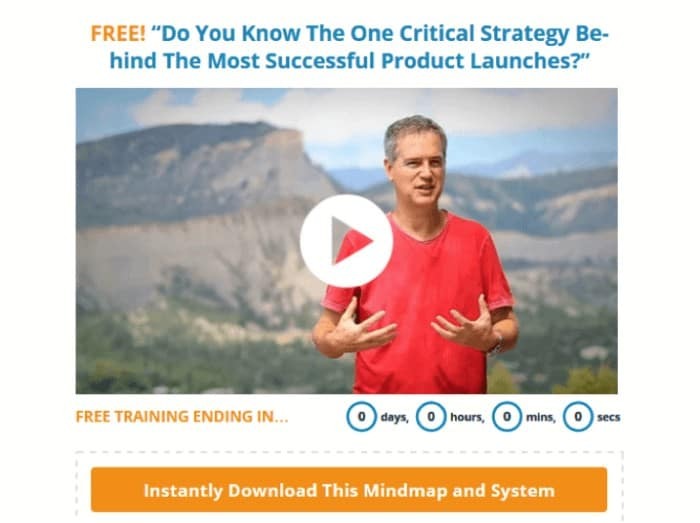 For instance, for years, Jeff Walker has been using the webinar strategy during his product launches no wonder he runs 6-figure launches more often. You do not a course to get started. All you can do is, record and schedule a series of webinars about what your audience needs. More than half of the consumers claim that they are more likely to acquire a product from a website that has product reviews and or ratings. That is how social proof is powerful and it is through it that you can boost your chances of building an email list. 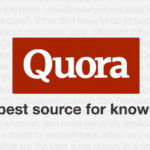 One of the ways you can use to leverage social proof is through volume. The bigger the numbers you have to show your prospects the better. For instance, if you have 1K email subscribers, 10K twitter followers, 5K Facebook fans, and 2K RSS readers(they are your audience too), then you are on good course better than most. But looking at it closely, you will realize that these numbers are not particularly impressive compared to the best in business. That means if you want to draw the attention of a potential subscriber you will have to make them feel impressed through your social proof. All you can do is just add all those numbers together and come up with a general figure. For example, 1000 + 10,000 + 5000 + 2000 brings to a total of 17,000. 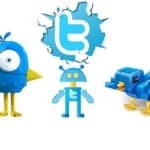 In this case, you will claim your social proof to be “17,000 followers/fans/subscribers”. Your potential subscribers who will come across your social proof will think “wow, looks like many people like this product” and at the end of it, they will subscribe for your product. There are a number of examples to look up to who have leveraged social proof with the aim of increasing their chances of subscriptions from their potentials. Michael Hyatt does this very well. Look at the image below. At the top right corner of this image, you will see a total of 512,944 subscribers. Wow! That is quite impressive. Let’s be honest though. Does Michael have all those email subscribers? No, he doesn’t. This is just a number, probably some kind of combination of the total number of follower metrics, email subscribers included. Michael has 57k fans on Facebook and 299k followers on Twitter. We might not be able to know where he gets the rest of his audience but these two numbers just show us how 512,944 is just but a general number. But the point is, when you see 512,944 Total subscribers, you will take Michael very seriously and think he has to be doing things right with such like a number. There is nothing more powerful than a direct referral from a friend you trust. Most people want their friends to be as happy as they are and that means, if you are making your subscribers happy, they would automatically want to spread the love to those who are close to them. All you have to do is ask your email subscribers to refer your content to their co-workers, family, and friends. How are you going to ask them though? Make them an offer they cannot refuse. create a bonus so tasty that would be foolhardy(if it is the right term to use here) to refuse. There are a number of successful online businesses that have utilized customer referrals to build their email list. For instance, GiftBasketsOverseas.com offer their customers a coupon of $20 off if they referred a friend to their products. To add to that, once their friends are in, they receive a $20 off on first purchases. A closer look at their page will tell you how much their referral strategy is brilliant despite having a poorly optimized page with no CTA. Offer people who like what you do a good deal but in return ask them to share the experience with their friends definitely at a discount. That is what will drive them. Setting up a referral program is a remarkable way to build your email list. The good thing about it is that you can do it yourself and know the kind of discount on your product that will convince your already subscribed customers to refer their friends. We have built our list from the remarkable methods above. What next? We have to turn it into a sales machine that will generate revenue to drive your business. But how do you go about it? Let’s have a quick look. First of all, you have to understand that building an email list is one thing but turning it into a perpetual sales machine is just another. It takes effort, strategies and a keen eye to details to achieve making use of an email list to generate revenue. If you follow these steps and strategies you are on a way to turn your email list into a perpetual sales machine that will leave you wondering how you pulled off that. We can still call them subscribers and not customers at this stage because you are yet to figure out what each and every one of them needs. This stage is very crucial because it might not matter how well you have packaged your product, or how well you have written your emails or even how big your discounts are on your products. If you don’t understand the actual problems your subscribers have and how your product will solve the problems, you will struggle big time trying to convert them ( your subscribers) into paying customers. Use the data obtained above to services and or products that try to solve those problems as well as communicating the same to them. The perfect way to obtain such kind of data is to ask them directly. You could use survey tools that like Survey Monkey or Quaraloo that integrate directly into your website. They work so well to come up with data that you may use to determine the needs of your subscribers. One of the biggest mistakes you can make in email marketing is sending the same email to all subscribers on your list. It is a big mistake because most people want to be associated with things that are relevant to them. The more relevant, the more their interest. Therefore, take your time and segment your list properly. With that, you can send more offers and relevant content to your list. In turn, you will realize higher conversion rates as you make more money. For instance, Isotoner managed to raise their revenue by 7,000% with this strategy. They segmented their email list so well that products easily matched the interested customers when they visited their website. 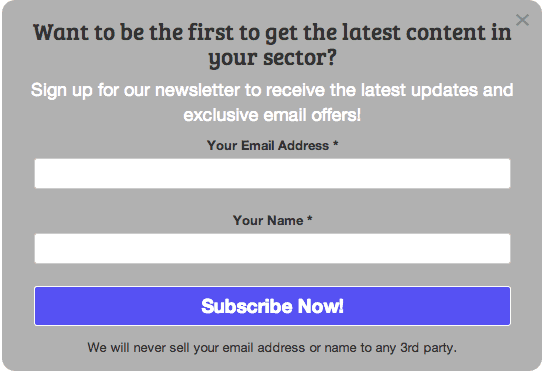 You can approach this by segmenting your email list once a subscriber gets on board. create and present targeted opt-in offers depending on the content your prospect is viewing currently. With that, you will know the exact segment to put the subscriber. 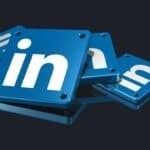 Their interest- This can be determined by finding out the pages they visit, the emails opened, their past opt-ins and the content they read, among others. Additional data like company type or job description people provide at the opt-in. Responding to your subscribers’ requests will build trust and authority and that is what you need to do after you have built your email list. Once they trust you, it will be easy for them to buy your product and stay loyal as well. However, if you have a large list, responding to your subscribers manually will be quite a difficult task, and that is why you need an autoresponder sequence. Nevertheless, sending manual images especially in email marketing is not an option these days. Your customers look forward to receiving not only relevant messages but also messages that answer certain interactions and needs at the right time. As an email marketer looking forward to making more sales, you may need to send automated emails for your campaign based on the segments you just created above. This will help you set up multiple multi-step campaigns for each segment of subscribers and drive their engagement higher which results in a higher conversion rate. There are a number of email marketing software that you can use to create an autoresponder. Mailjet is one of them. You can try it. This is one of the crucial stages as you try to turn your email list into a sales machine. It is at this stage that you will need to convince your subscribers to purchase your product. So, instead of having to be so random as you market your product to your email list, you come up with a strategy that aims at engaging and developing the need of your subscribers to a point that they are ready to acquire your product or service. Once you have a list of subscribers it means that you are at “interest” stage where you have people who are interested in what you are doing. It also means that people are aware of the problem they have and are looking for a solution. At the initial stage of “Decision making” therefore you can provide some helpful and high quality content to develop their need before you make an offer. And that is where the “action” starts. In building your sales funnel, you will have to develop a series of automated email follow-ups but this time aiming to close up sales. You can have as many emails as you want, as long as they help you achieve your main objective-closing up your sales. There are various ways to approach as you build your funnel. It all just depends on what you sell. But if you are selling an information product, you can use the following sequence, backed by Jeff Walker – the author of one of the famous ‘Sell Formula’ eBook. Email#2: Explain the importance of some topics that matter and how they can solve their problems. It builds interest and in turn demand for your product. Email#4: Give and explain more details on how they can solve the problem. At this stage, you can now mention the product you will launch in few days. Email#5: Launch your product and tell your subscribers that they can acquire it in the next few days after which the cart will close. Email#7: Email people on the last day before you close the cart. Talk about scarcity again, inform them that the cart will close in the next 24 hours and your product will not be available again. Most importantly remind them what they will learn if they purchased your product. Email#8: This email should be sent a few hours before you close the cart and it should remind them just that. Once more restate the benefits of the product. Email#9: Send an email 2 hours before closing, inform them that it is their last chance and they should take advantage of it. Also, mention the benefits of your product. Email#10: Announce that the cart is closed and the product is no longer available. Take note though, anything involving email is bound to tested and adapted. Test and then adapt your sending frequency to your list. Additionally, not every list will behave as you expect. Therefore, you will need to keep a keen eye on the metrics to ensure you are targeting your clients properly. We will discuss more of that later on when we will be talking on how to measure your success and improve. If you do not do this, you are losing so much. Most online buyers will add products to their cats then, later on, leave your store without having to buy. There are so many reasons someone would abandon their carts. It could be intentional. Most of the time it’s unintentional though; maybe they got an important call from their boss or their kids just got home from school, or they got a visitor before confirming their purchase. For whichever reason, if a buyer abandons a cart on your store you will not only lose what they had intended to spend on the product but also the money they would have spent on your products in future. That means you are going to lose a lot more. There is a way out though. You can start re-targeting those buyers who abandon their carts after registering for an account on your store. There are email marketing tools that let you target subscribers on your list based on actions or events they take. Create an automated query in your tool today and it will help you track down abandoned carts which will, in turn, boost your sales. To have an email list of subscribers is good for you. But your competitors also have their list. What many of them lack is a buyer’s list. A buyer’s list is a list of customers who have already spend money on what you are selling. It is more powerful than a list of subscribers with many freebie hunters. You can instantly increase your list of buyers with just a small change to your autoresponder sequence which will put you miles apart from your competitors. This is because, once your subscriber pays you for a certain product, it means they have now broken that ‘barrier mentality’ which tends to refrain people from purchasing a product online. You will have to add a tripwire product. A tripwire is a low-cost but very high-end product solely designed to convert your subscribers into buyers. A tripwire is not and will never be your main profit maker. A tripwire is only used to break the ‘barrier mentality” we have mentioned before. The moment you hit the ‘Oh Heck Yes!” button, you will be redirected to a 1-TIME special offer. 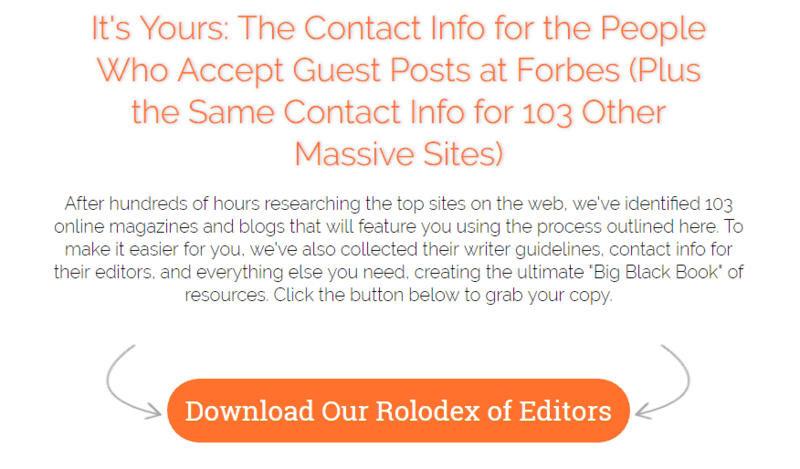 In this case, the tripwire above is a $7 PDF guide well designed to try to turn people “who would want their writing featured on Forbes” – anyone would! Suppose you buy that tripwire, you will be one of GuestBlogging.com’s buyers already and when you open it(the tripwire), there is another lead magnet closely aligned with the tripwire which aims to sell their product(their main profit maker). In this case, the Rolodex of Editors is their(GuesBlogging.com) main product. If you found the tripwire helpful, there are chances you are going to download their ‘Rolodex of Editors’ and that is the magic of tripwires. Well, you have managed to convert some of your subscribers into buyers using tripwires. If you spent your time to design a valuable tripwire, you will not have any problems selling your flagship product. This is the time when you upsell by offering your buyers a high ticket product at a discount rate but a special limited time. By doing that, you will be amazed by how fast your shelves are going to be emptied. This strategy is highly used by Bushra Azhar! She makes more than 200,000 sales on her flagship product with a whooping 22% subscriber to buyer ratio. Do not stop at upsells, you can as well maximize your profits by unleashing the cross-selling strategy. Cross-selling refers to selling complementary products that are related to your flagship product and are useful to your customers. This is a strategy Amazon does all the time. For example, here is what happens on Amazon. Take a closer look. Here is a LED TV on their shelf. Immediately below the product, they will show the options below. 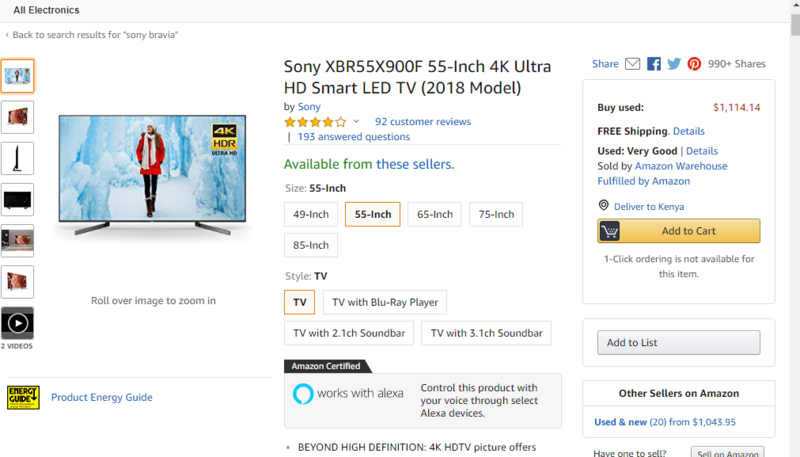 Amazon knows people buying a LED TV will also need a stand, a wall mount among other accessories. A study shows that this is where Amazon makes most profits through cross-selling. You can replicate this as well. When a buyer purchases your main product, pitch in other related products that complement your product that they might need. It’s more likely that they will go for it. Majority of your email list will not buy from you no matter how good your product is. It doesn’t render them(the non-buyers) useless. Your buyers and non-buyers are both still your assets because they are your subscribers. Allows you to sell more products to your buyers in the future and it increases the number of transaction per customer. To achieve that, keep offering them something will stay engaged with you. For example, if you are a blog writer, you are going to keep serving them with high quality and actionable content so that they stay put. 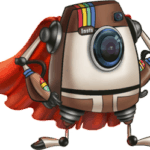 High quality content will attract new visitors as well. There’s a chance you might not get your hustle successful form the very first try. That is totally fine. The most important thing is to learn what works and what doesn’t for your email marketing. then, you can always improve. Even the biggest of online startups have come a long way and they still look forward to improving. If your subscribers do not open your emails, it means whatever you want to share with them however awesome, won’t be read. It also means that you will fail to engage them and eventually you will not manage to sell them your product. That is why open rates are the first thing you will have to observe. Across all industries, the average open rates is at 22.87%. If you get a lower open rate than that, it is time to revisit and make improvements. First, you need to clean up your email list. You can do that by targeting those subscribers who have never opened their mail in the last 5 months. Before you clean up, let them know that you are on the course to remove them from your email list. Give them one more chance to confirm if they want to keep in touch or not. Once your list is clean, check if your emails are relevant enough. At this stage, you can try to segment your list even more and try to make your content more relevant as well. You can try and make your subject lines as clear and more specific as possible. Additionally, test new lines until your open rates improve. Lastly, consider the times in which you send the emails and try sending them at different hours or days to try and get more open rates. The average email Click through rates is 3.26%. That is to say, if your CTR’s are lower than that, it’s not good news for you. If your subscribers open your emails but do not click on the links inside them, it means your CTA failed. You might have misled them with the subject line to open the emails, or maybe your content did not deliver the promise you initially gave them. So try and make your content more relevant. You can as well segment your email list once again to try and improve your results. Do not forget that the mails you send should be clear, relevant and offer real value to your subscribers. You can teach them to achieve their goals by solving their problems at the same time. Your subscribers open, read and click through your emails, but there are no conversions. How could that be? Maybe your offer is not worth it or it is not relevant to them. If that is the case, try to understand the needs of your subscribers better. Does your service or product actually serve its purpose of solving your subscribers’ needs and problems? If it does not, then that is the reason they are not buying. Do your subscribers understand the value of your service or product? If not, you should do a better job and explain to them. You can as well work on improving the content you share with your audience and the sales funnel as a whole. Can your subscribers afford our product? If you have overpriced your product, it is time to re-evaluate and come up with a price that will be affordable by your subscribers. There are many companies and brands that will pay you commissions for any sales you will generate for them. This is what is known as affiliate marketing. You can opt to sell someone else’s products which fall in the same niche of what your audience requires instead of having to sell your own products. Affiliate marketing is fairly a simple process that you can use to generate revenue from your email list. The key to affiliate marketing is choosing the products your audience is likely to buy from. There are various networks that offer affiliate marketing. 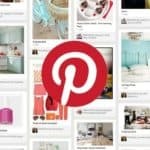 They include Amazon, ClickBank, Rakuten, eBay and ShareaSale among others. This is a strategy for big fishes who have quite a big list though. With a big list, of 2500 subscribers or more you can opt to sell advertising space in your email newsletter and charge relatively huge chunks for it. On your email list, you can decide to add a couple of lines that review a brand’s service or product with a link to their website and earn from it. 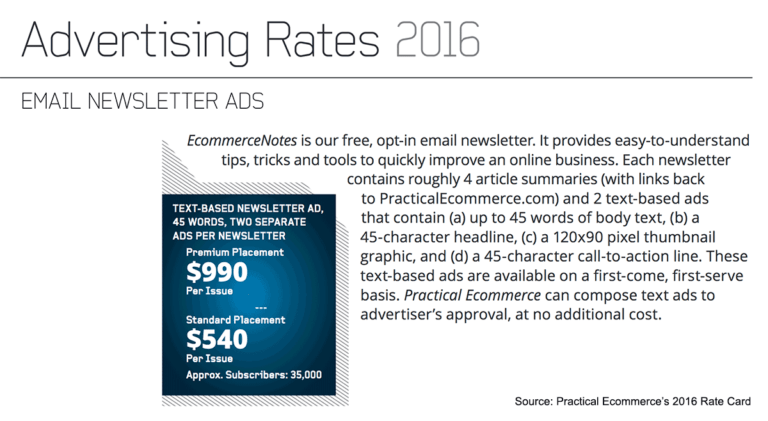 The image below shows the amount Practical Ecommerce charges brands or companies that want to advertise themselves in their newsletter. As a starter, you might not get even close to that much. However, if you build your email list and keep them engaged, it will earn you a good fortune as easy as that. Well, we have built an email list, turned it into a perpetual sales machine, tracked its performance and improved it, and found additional ways to generate extra income out of it, what next? It is time to earn the fruits of your labor!! !